But are they buying it? 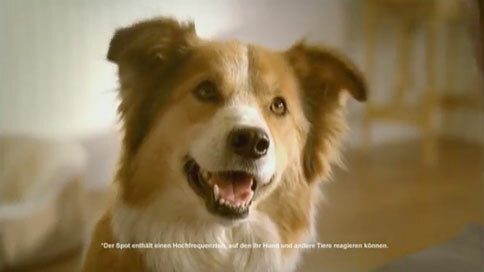 Nestlé Purina PetCare tosses Fido a bone in a European TV spot for its Beneful pet food that features a high-pitched sound, like a dog whistle, that only dogs can hear. It's touted as an effort to capture canines' attention. Given the discretionary income of the average Shiatsu, it hardly seems worth the effort. This is apparently a first, although companies have previously tried dog-food-scented billboards, and cats have their own Rhett & Link commercial with some crazy lady speaking feline to promote a kitty kennel in Los Angeles. I hear it's a real fleabag hotel. As for Nestlé's pitch to pooches, it's not such a stretch. We humans have been jumping at the sound of our masters' voices in TV ads for years. Sorry, I tried not to be an utter wag in this item, but resisting temptation proved too ruff.